A cricket enthusiast uses his love of the game to reflect on the Christian life. Start your new cricket season on the front-foot by reading An Almighty Innings. Written by Andrew Scott, pastor of Ashtead Baptist Church in Surrey, the book is a creative way to engage cricket lovers with the message of the Bible. 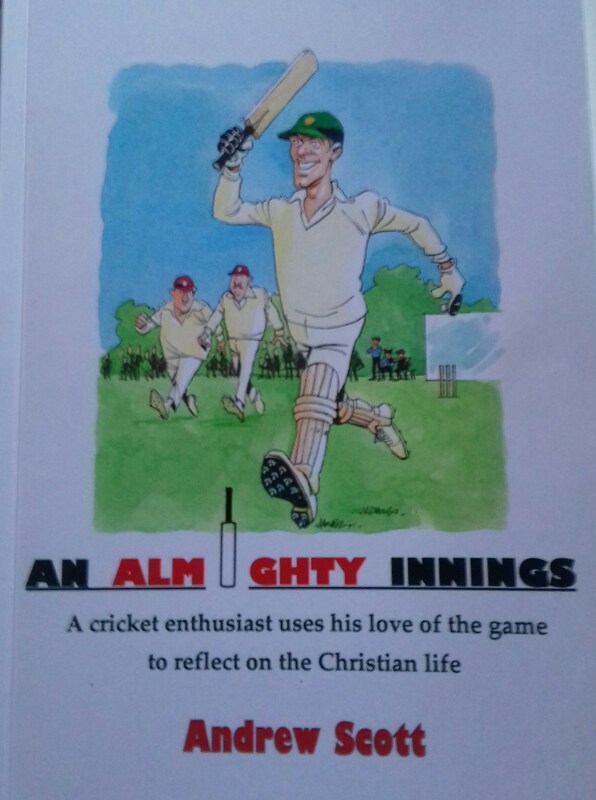 An Almighty Innings uses cricketing illustrations alongside personal stories to deliver: a better understanding of the overall story of the Bible, a deeper discovery of the Christian faith, a greater awareness of God’s message of love for the world and a growing awareness of the glorious role human beings have been given to play in living a life that is not out. Once it’s in your hands, hold on tight and don’t put it down like a fumbling fielder. The book comes with a Foreword written by Rev Malcolm Lorimer (Chaplain at Lancashire CCC) and Endorsements from Rev Canon Andrew Wingfield Digby (founding Director of Christians in Sport and former spiritual advisor to the England Cricket team) and Warren Evans, Chief Executive Officer of Sports Chaplaincy UK.